After Christmas, I noticed these kind of tweets appearing. Image is from Google but I censored out some inappropriate words. I was shocked at the kind of things children can say about their parents! Like.. OMG.. I feel like punching each and every one of them. 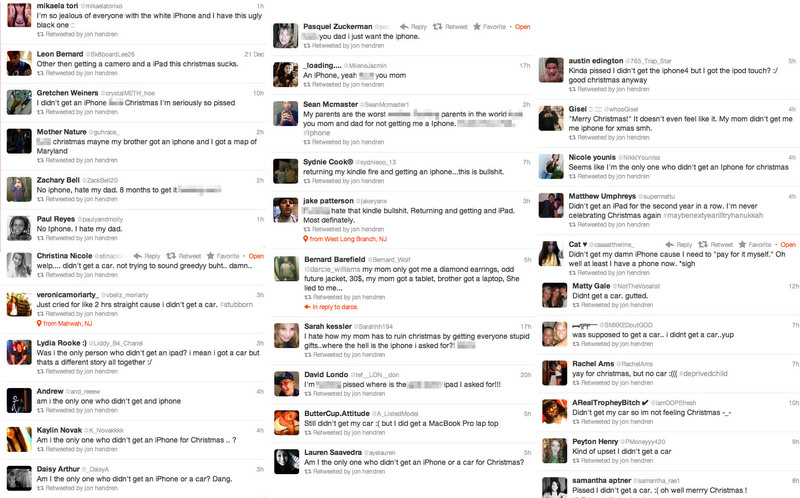 Some received an iPhone 4S and complained about not getting the latest one while some were so angry over getting the wrong colour. Hello? Your parents DO NOT owe you stuff!! To promote filial piety among the younger generation, Obpedia.com & YouthsToday.com collaborated for the eulogy-writing competition. It's good to know that Malaysian youths have not lost all their good values. Jassie Looi, Kum Peng Han & Lisa Yeo walked away with RM 2000, RM 1500 and RM 800 respectively for writing about cherished moments, memories and legacies as they create touching stories. Some faith in humanity restored!